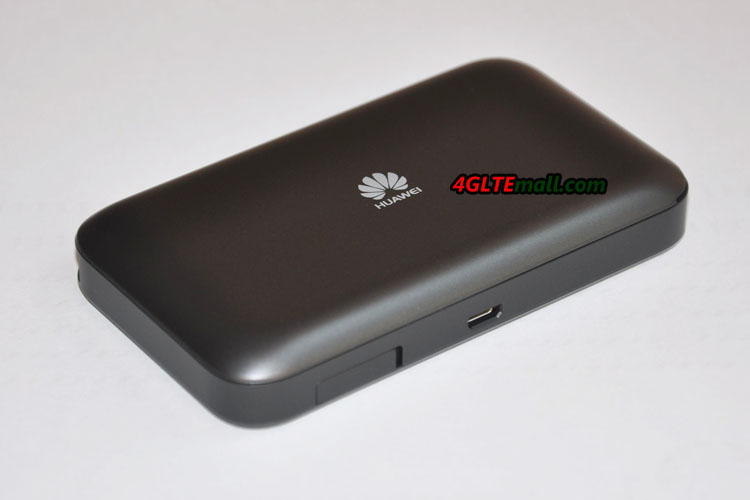 As the successor to Huawei E5786 LTE hotspot, Huawei presented a new Huawei E5787 mobile hotspot. Perhaps following the steps of Netgear Aircard 810s, Huawei makes the new LTE gadgets more smart than ever. 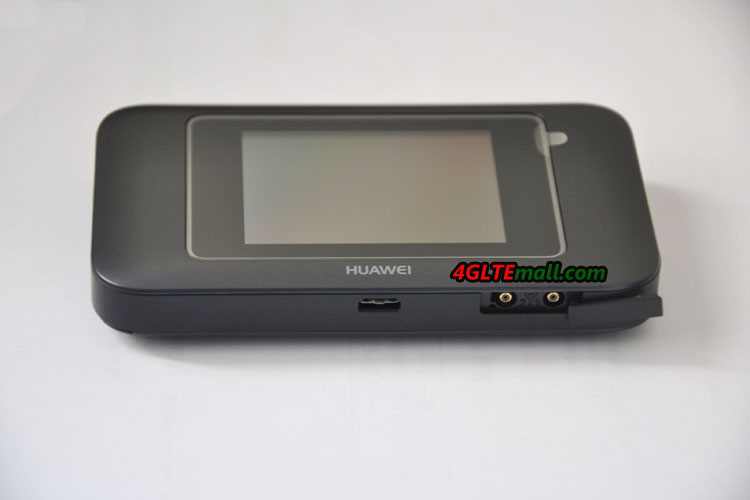 The most obvious feature different from Huawei E5786 is that the Huawei E5787s has a touch screen, where user can do simple setting for the wireless network. 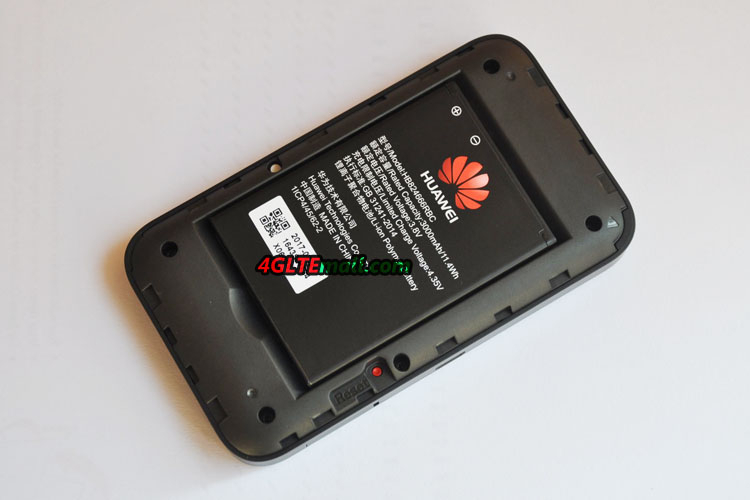 We get the Huawei E5787 in black color and the model number is E5787s-33a. The body of the new pocket WiFi is made of plastic but hand feel is good. On the top side, it’s the power button and it’s cool. The front 2.4 inch color touch screen is really selling point. This feature can be found on other Huawei mobile WiFi hotspots. 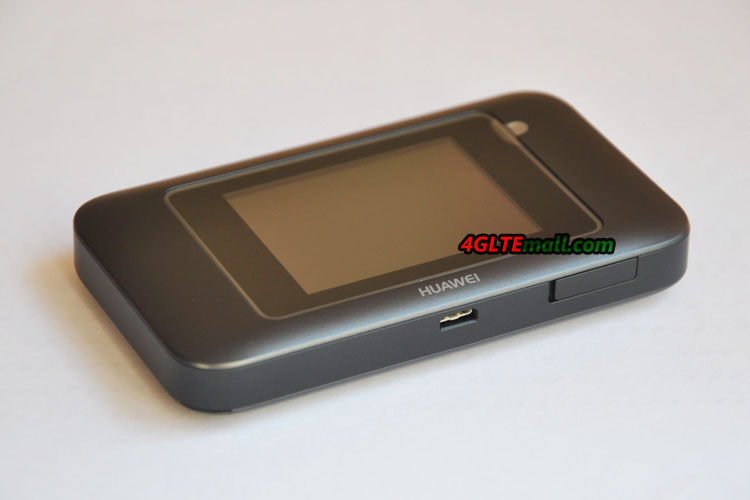 This should be Huawei’s first LTE hotspot with color touchscreen. At the other side, it’s the USB port for charging. And two connectors for external antenna are covered by a cap. At the edge side, there is a place for lifting rope. Beside the label in the device body, there is a reset button in red color, which is to reset the Huawei E5787 to factory default if necessary. 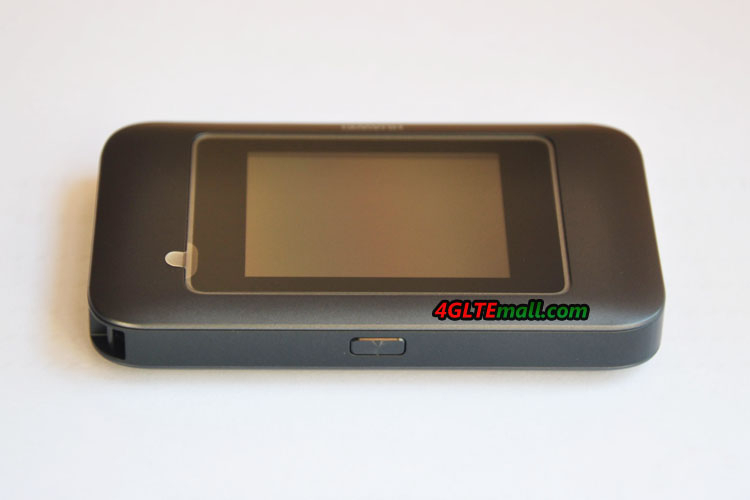 From the features and appearance, we can see the huawei E5787s-33a is very similar to Netgear Aircard 790s. 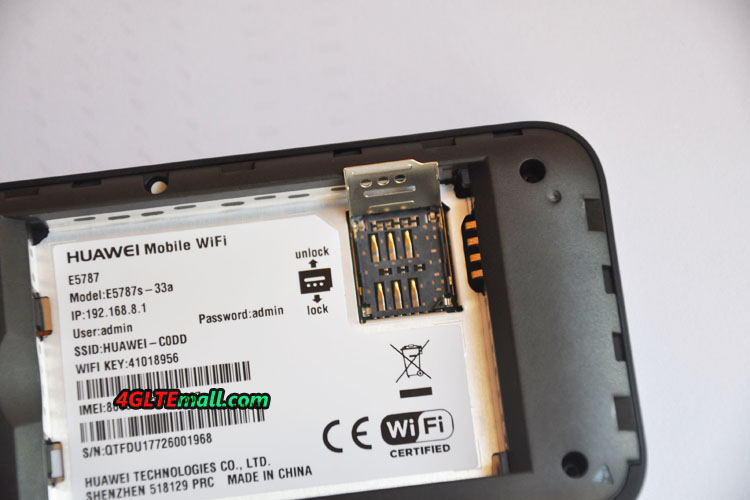 After plug in the SIM card and power on the Huawei E5787, we can see the Huawei E5787 would automatically detect the SIM card’s network provider and showed it on the screen. We didn’t do anything to setup and it would provide WiFi network. Simultaneously, the WLAN signal and connected WiFi users and battery status are also showed. The touch screen also indicates “Slide to open”, after slide, user can do some simple settings on the screen. If you want to do some advanced settings, you could log into the web interface 192.168.8.1 or user Huawei Hilink APP. You can scan the QR code on the package box to download the Huawei Hilink APP or download from Google Play or Apple Store. In our test, the Huawei E5787 provided fast internet connection, but we didn’t reach the peak download speed of 300mbps. And the advanced settings are very practical. The battery capacity of 3000mAh can maintain more than one day full time use. And it has the function to charge other electronic devices. 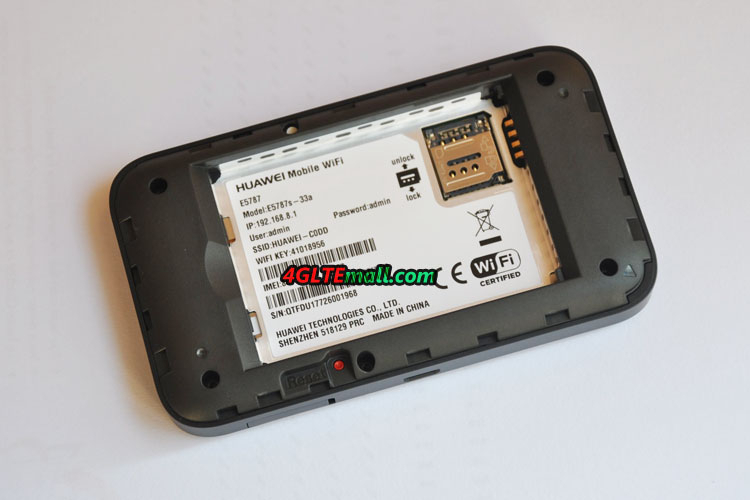 According to official sayings, up to 10 wireless users could connect with the Huawei E5787 for surfing. These technical features make it useful and we recommend it for those who usually need long time fast surfing and data plan.